The knowledge about the effects of exercise, physical and sport activities on general well-being has been advanced thanks to pioneering studies in several medical conditions and in rehabilitation from the 1980s onwards [1De Caprio L, Rengo F, Spampinato N, et al. Exercise tolerance as evidence of quality of life in CAD patients after coronary artery bypass by comparison with medical treatment. Acta Cardiol 1980; 35(1): 11-21.]. However, a noteworthy contribution to improving standard tools hallowing to measure of how much exercise, physical and sport activities could affect the quality of life (QoL) of the elderly and adults came mainly from the studies on their effects on depression and mental health [2Mura G, Carta MG. Physical activity in depressed elderly. A systematic review. Clin Pract Epidemiol Ment Health 2013; 9: 125-35. [http://dx.doi.org/10.2174/1745017901309010125] -4Nishida M, Kikuchi S, Fukuda K, Kato S. Jogging therapy for Hikikomori social withdrawal and increased cerebral Hemodynamics: A case report. Clin Pract Epidemiol Ment Health 2016; 12: 38-42. [http://dx.doi.org/10.2174/1745017901612010038] ]. First, the new perspectives have made it possible to establish the level of QoL, which cannot be considered as a simple variable depending on the state of health: actually, there are consolidated evidence of a complex relationship between health, QoL, exercise, physical and sport activities [5Sancassiani F, Machado S, Preti A. Physical activity, exercise and sport programs as effective therapeutic tools in psychosocial rehabilitation. Clin Pract Epidemiol Ment Health 2018; 14: 6-10. [http://dx.doi.org/10.2174/1745017901814010006] , 6Monteiro-Junior RS, Rodrigues VD, Campos C, et al. The role of physical activity on mood state and functional skills of elderly women. Clin Pract Epidemiol Ment Health 2017; 13: 125-33. [http://dx.doi.org/10.2174/1745017901713010125] ]. 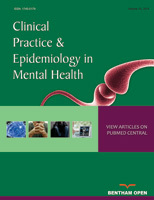 Second, this complex vision of physical and psychosocial health has benefited from the concepts of well-being and QoL applied, first of all, like “extended” outcome measures to the studies on the use of exercise, physical and sport activities in depression [7Silva-Júnior FL, Emanuel P, Sousa J, et al. Prior acute mental exertion in exercise and sport. Clin Pract Epidemiol Ment Health 2016; 12: 94-107. [http://dx.doi.org/10.2174/1745017901612010094] , 8Machado S, Lattari E, Paes F, et al. Mental practice combined with motor rehabilitation to treat upper limb hemiparesis of post-stroke patients: Clinical and experimental evidence. Clin Pract Epidemiol Ment Health 2016; 12: 9-13. [http://dx.doi.org/10.2174/1745017901612010009] ]. However, the challenge of active aging today can be placed in a new syncretic dimension in which aging is not seen (only) as the product of the progressive impairment to the body due to age, and not (only) due to social and architectural, physical and other types of barriers that prevent the person who advances with age to enjoy the maximum possible functioning. Active aging is a process of awareness of one's own limitations and, above all, of one's own resources that allow to cope with the barriers in the most functional way [9Petretto DR, Pili R, Gaviano L, Matos López C, Zuddas C. Active ageing and success: A brief history of conceptual models. Rev Esp Geriatr Gerontol 2016; 51(4): 229-41. [http://dx.doi.org/10.1016/j.regg.2015.10.003] ]. Within this perspective, subjectivity is central, that is why the measure of body awareness as explored by “The Physical Body Experiences Questionnaire Simplified for Active Aging (PBE-QAG)” [10Cossu G, Loi E, Carta MG, Bramanti A. The physical body experiences questionnaire simplified for active aging (PBE-QAG). Clin Pract Epidemiol Ment Health 2018; 14: 70-7. [http://dx.doi.org/10.2174/1745017901814010070] ] is a key dimension.